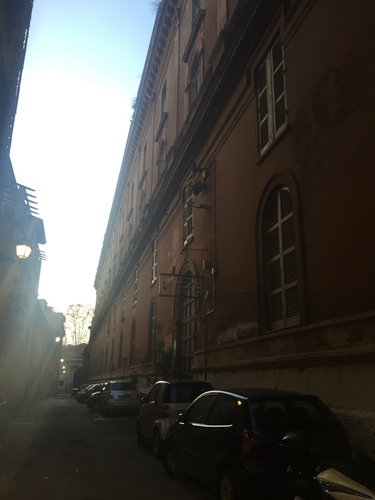 “San Giacomo degli Incurabili” hospital, was the third hospital built in Rome (Via del Corso) during the Middle Age. 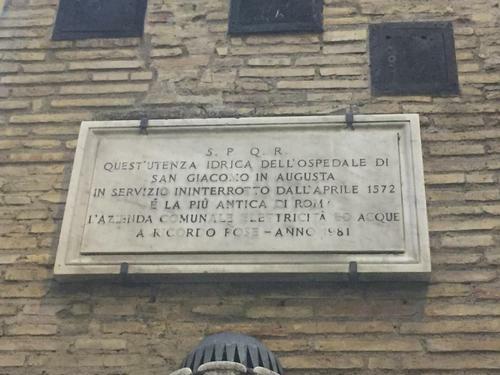 The hospital was founded by cardinal Giacomo Colonna, who wanted it to be near the remains of the imperor Augustus' Mausoleum: that's why it is also known as “San Giacomo in Augusta's hospital”. After the cardinal's death, his nephew Pietro Colonna, to preserve his uncle's memory, ended the works and in 1339 the hospital started his activity. On 19th July 1515, Pope Leone X promulgated the papal bull “Salvatoris Nostri” with whom elevated “Saint James” to an “Arcispedale”. From that moment, the main aim of the structure became to cure the “incurables”, the ones who were rejected from the other hospitals, except for lepers and contagious people. The hospital is an important place for the oder of Camillians, devoted to Saint Camillus de Lellis. The Saint was hospitalised at “San Giacomo” because of a plague on his right leg and for a period he also worked there as a “house master” when he founded the order of “Cleric Ministers of the Sick”. 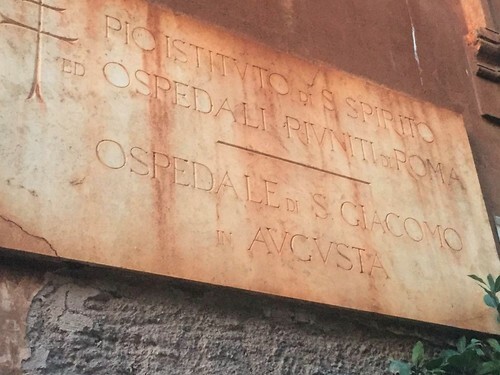 The tablet refers to the water service of the hospital, the oldest in Rome. In 2008, the hospital was closed leading to a scandal.